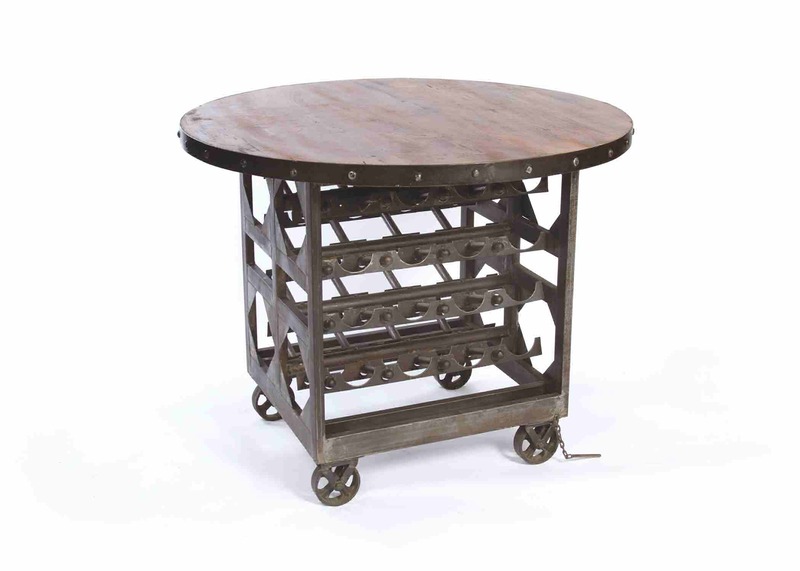 Modern industrial wine table cart would add not only function but a creative interest to any wine cellar or bar. Made from black iron finished steel and reclaimed wood with a natural wax finish, our wine cart measures 36.5″ H x 48″ Diameter. Made with heavy duty wheels, a rack for multiple wine bottles, this cart can double for a portable island is a small space where flexibility is needed.